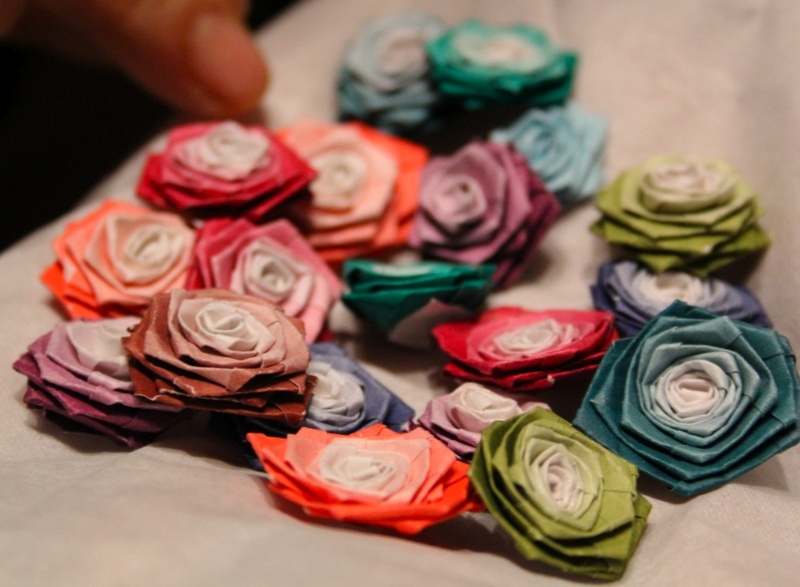 1) How did you start quilling? I had tried my hand at Paper Quilling a few years back and loved it. Because of the difficulty in finding supplies I had to put it aside. But I took it up again 6 months back after seeing Amna's beautiful quilling projects . I was so inspired that I had to start quilling again. 2) Do you learn from books too? I do a lot of research on any craft that I take up. I don't have access to many books, in fact I have just a couple of beginners books. My main source is the internet and other artists. Everyone has such beautiful work that just looking at their quilled creations and works is a good learning experience by itself. 3) So shall we say that you are interested in different styles and techniques in arts and crafts? I'd say I'm a Constant Learner of crafts. I love to learn new crafts and the different techniques and methods in each. I love the details. As for other hobbies, Crochet is my passion. I do all kinds of projects in crochet. Tatting is also a favorite with me and like to make the delicate laces in this almost forgotten art of lace-making. I also do a little paper crafts ,sewing, origami, card making, embroidery, Henna designing etc. My most recent craft is fabric flowers. 4) Does your art affect your life in any way? I'm lucky that I do what I love doing. I'm a full time crafter and do custom orders for clients. 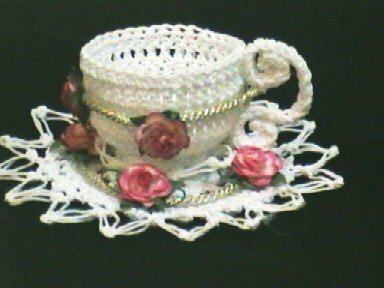 I make all kinds of gift items and favors for different occasions, gift tags crochet accessories and home decor. 5) Do you attend workshops or give workshops? I love to teach Art and Crafts. I've been giving private classes for quite a long time . I've given only a couple of crochet workshops but haven't had the opportunity to attend one yet. 6) What does art provide to you? The greatest gain is a sense a of peace and accomplishment felt when you see the beautiful work of art unfolding itself as you work on it. I feel that it takes me to whole new level of peace and joy and relaxes me - it's a great stress buster. 7) How can we get in touch with you and see more of your other creative work? 8) What would you like to share with the Emirates Quilling Guild members? I would like to see more people in U.A.E getting involved and learning different crafts. Its a simple pleasure in life which can help one reconnect with the inner self. I also hope that there is a better availability of crafts supplies in U.A.E with reasonable prices so crafting doesn't seem like an expensive hobby! I also love to promote anything handmade as each piece is unique and has a special value and a personal touch to it. Thanks for passing by and see you soon!!! Wow, so many different kinds of beautiful work!!! Thanks for sharing!!! The flowers are really one-of-a-kind!!! Thank you , Noor. I love making the flowers both in paper as well as crochet. Yasmin, you do such breathtaking work! That tea cup is just precious.